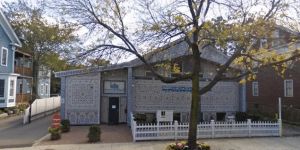 "As one of the most diverse Islamic Centers in the United States, it’s only fitting the Islamic Society of Boston Cultural Center stands tall in one of Boston’s most historic neighborhoods. The ISBCC is located in the heart of Roxbury, a neighborhood that was originally founded as a town in the Massachusetts Bay Colony in 1630. The rich cultural history is a constant reminder that the ISBCC is not just New England’s largest mosque, but as Imam Suhaib Webb proclaimed, the center is a shared “dream” that is representative of Boston’s multicultural footprint." 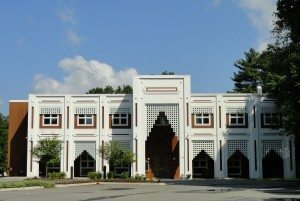 "The Islamic Center of Boston (ICB) was established in 1979 (1399 AH) as a nonprofit, nonsectarian religious, educational and cultural organization. Services provided by the ICB include congregational prayers, Ramadan iftaars and taraveeh, a Sunday school, eid programs, educational lectures, and interfaith activities. The center services the Muslim community west and north of Boston although people travel to get to this center from as far away as New Hampshire and Falmouth. Center's membership includes many ethnic groups and represents Muslims from all over the world." 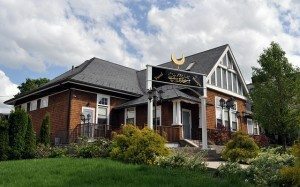 "Yusuf Mosque is a place of worship, socializing and education serving the needs of the Muslim community in Allston, Brighton and surrounding towns: Cambridge, Brookline, Newton and the city of Boston. 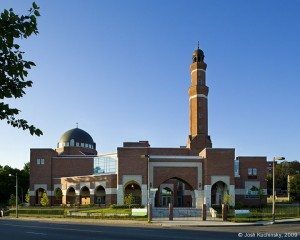 The Mosque is envisioned to be, with your help and participation, a quiet place of worship and reflection, a place of continuing learning, peace promotion and understanding. We hope our Mosque will not only nurture a growing Muslim community in the area but will also foster interfaith relations with our neighbors."